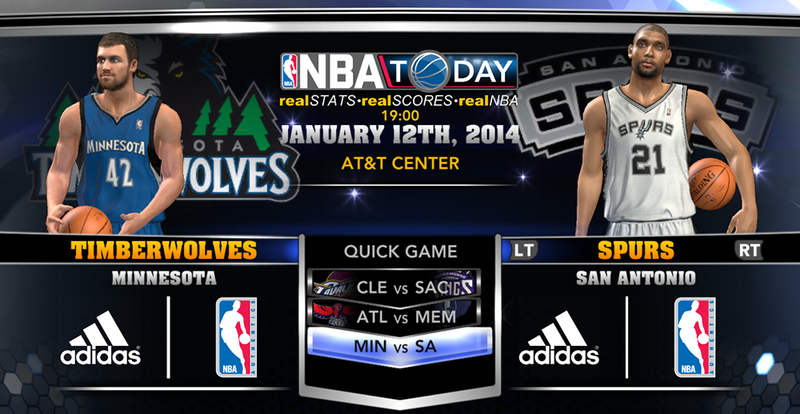 A new roster update for NBA 2K14 went live earlier this day, featuring team rotations accurate as of January 12th 2014. 2K Sports updated some player ratings and not much else. Cartier Martin's 10-day contract with the Chicago Bulls has not yet been reflected, as he remains as a free agent in the latest NBA 2K14 roster. Alexis Ajinca still has the wrong jersey number on the Pelicans (#12 instead of #42). The update is available on PC, Xbox 360, PlayStation 3, Xbox One, and PlayStation 4. • Xbox 360, PS3, & PC (Current-Gen): To download online via 2K Share, head to the main menu and go to Features » 2K Share » Download » Official 2K Roster » Save. • Xbox One & PS4 (Next-Gen): Play a 'Quick Game' and hit the Y or triangle button » highlight the official 2K Sports roster » press the A or X button. • PC users who want to install this update manually can download the offline update pack below.